Inside, the stand-out feel continues with Sand Leather seats, plus Z-Sport floor mats and scuff plates. While to further highlight its uniqueness, each car comes with an individually numbered Z-Sport plaque on the dash. Exclusive to the UK and limited to just 300 cars, thanks to being based on the 2.0-litre 160ps Sport Nav, the £25,595 Z-Sport features a limited slip differential, Bilstein dampers and a strut brace to ensure it has the dynamic excellence to match its sporty exterior looks. Representing the first chance to buy a current-generation MX-5 convertible with an alternatively coloured fabric roof, the Z-Sport provides customers with exterior differentiation through its unique colour hood. 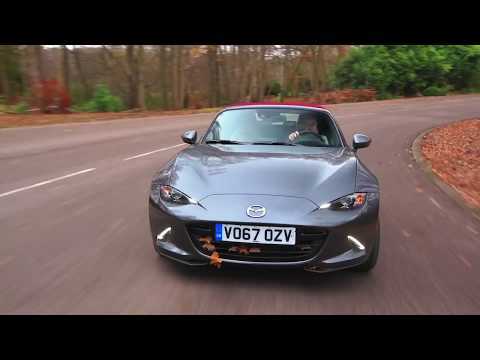 Adding, “We’ve had a long tradition of producing distinctive limited edition MX-5s that allow customers to drive a sports car with stand-out looks and enhanced equipment, and the new Z-Sport is one of the best yet.